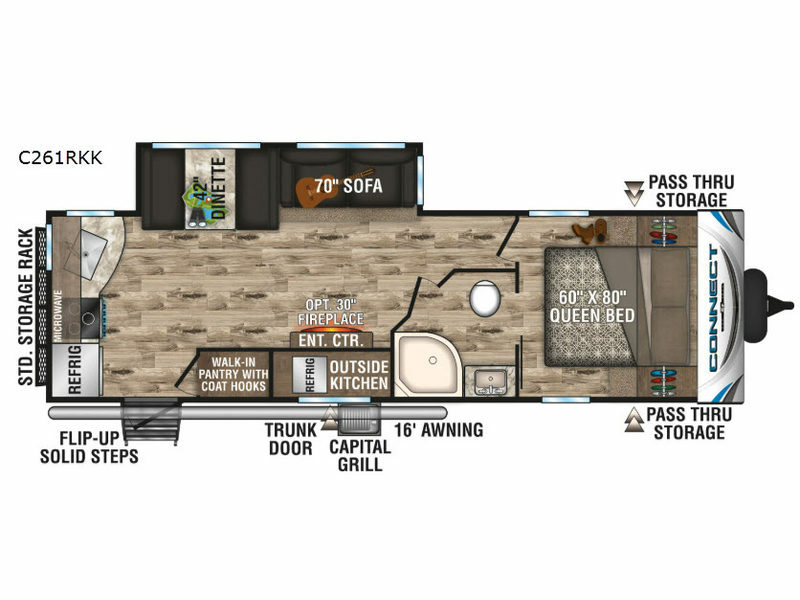 It's time to connect with nature, family, and friends in one of these KZ Connect travel trailers. 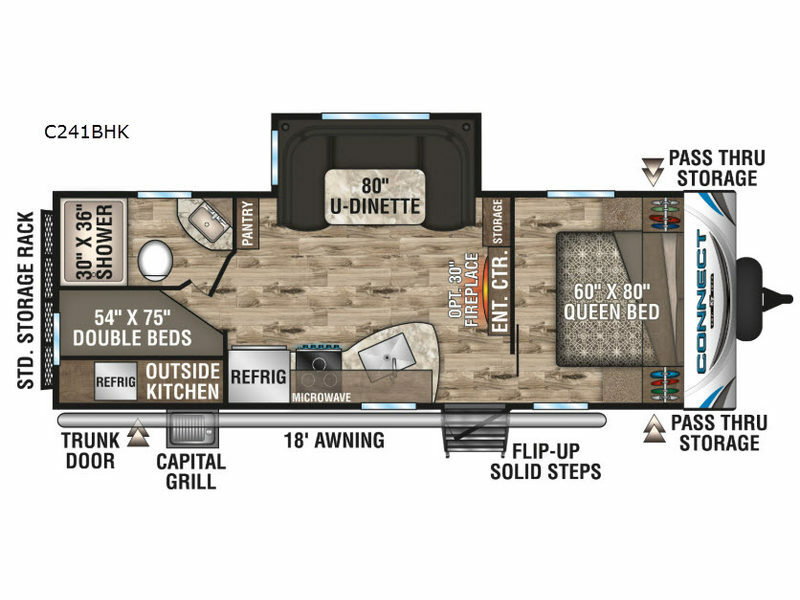 Designed to be affordable with standard features that may be options on other brands, these lightweight trailers offers a variety of amenities that are sure to fit your individual lifestyle. 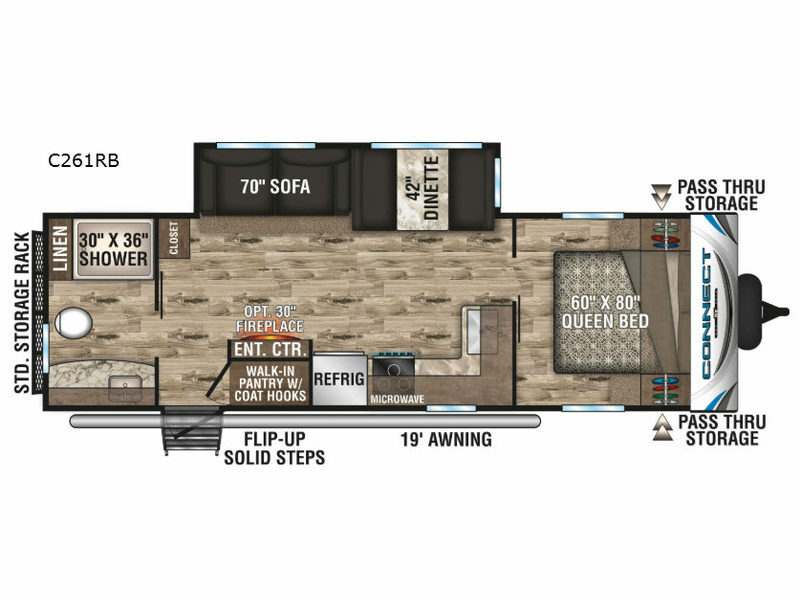 Each floorplan includes an impressive exterior structure with features like the 3/8" fully-walkable roof decking, the SuperFlex one-piece seamless roofing material, the UVA and UVB resistant gelcoat Lamilux exterior fiberglass, and the Climate package features. 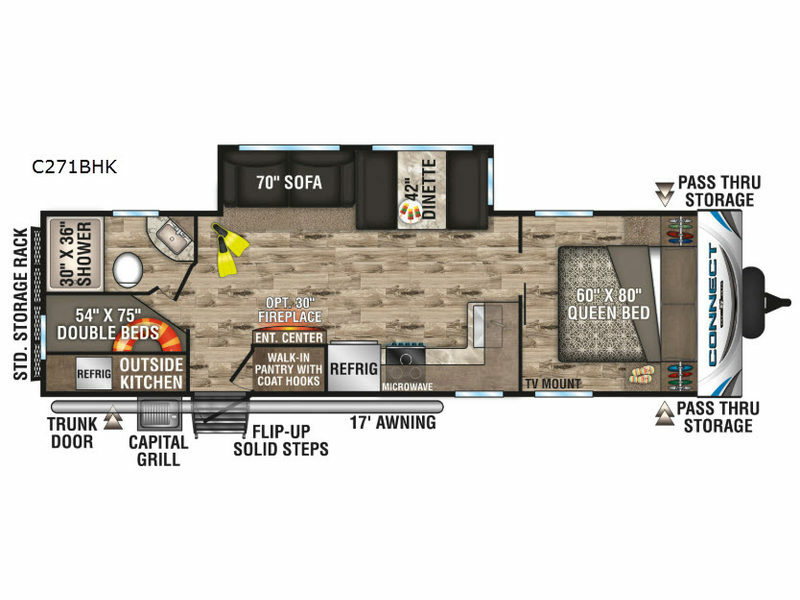 You will also appreciate the wider doorways, the residential kitchen with a pantry, the flush-floor slides, the sturdy flip-up main entry steps and storage galore. 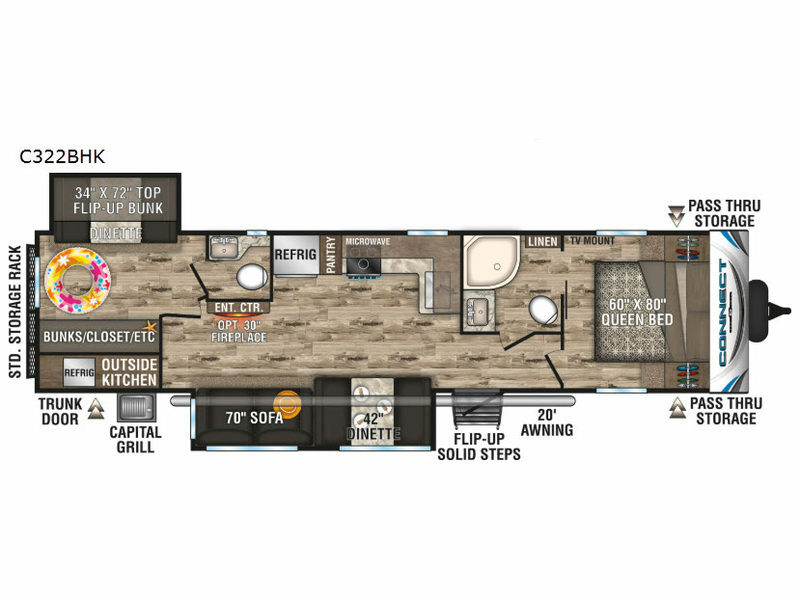 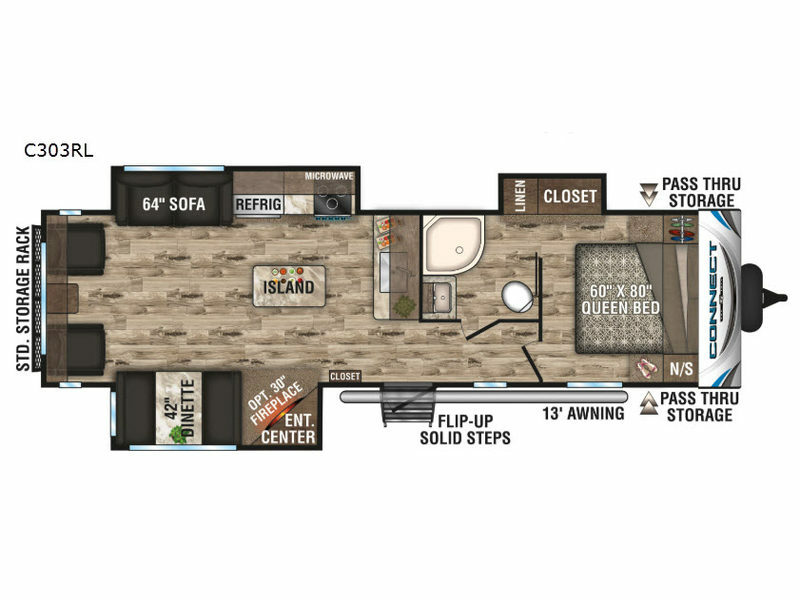 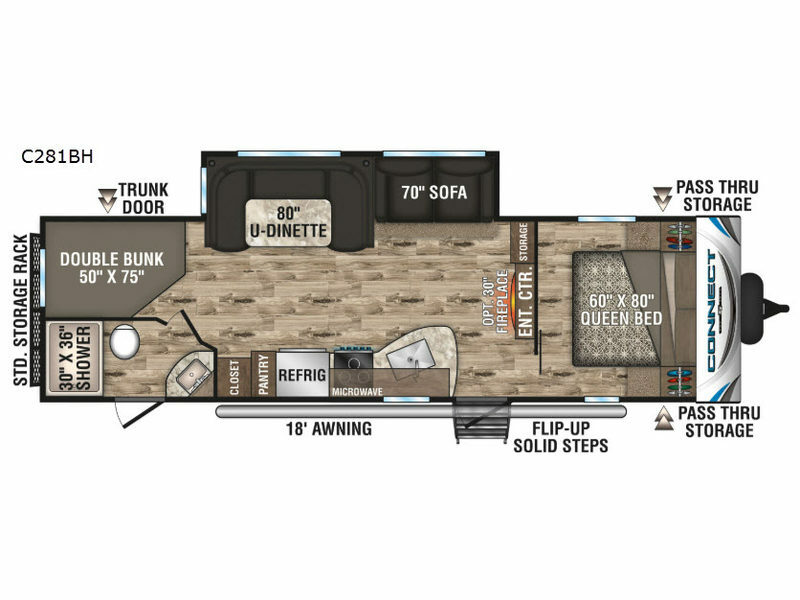 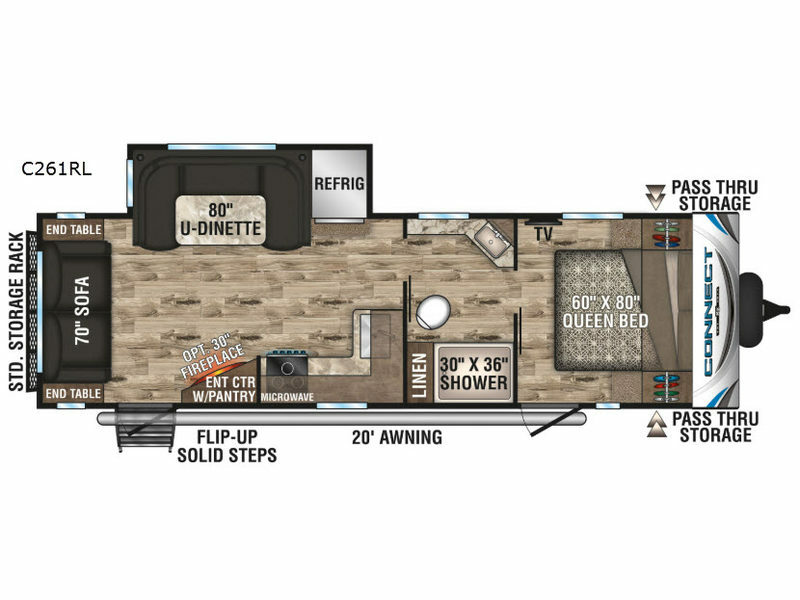 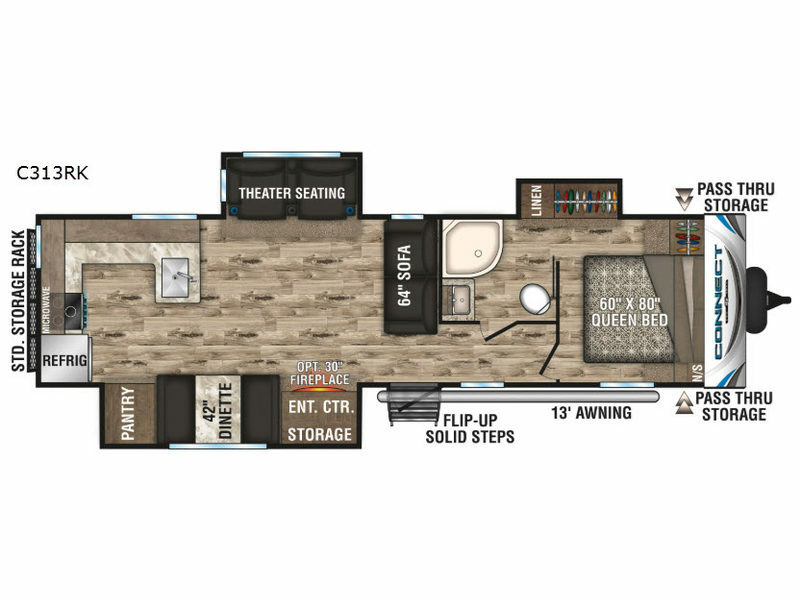 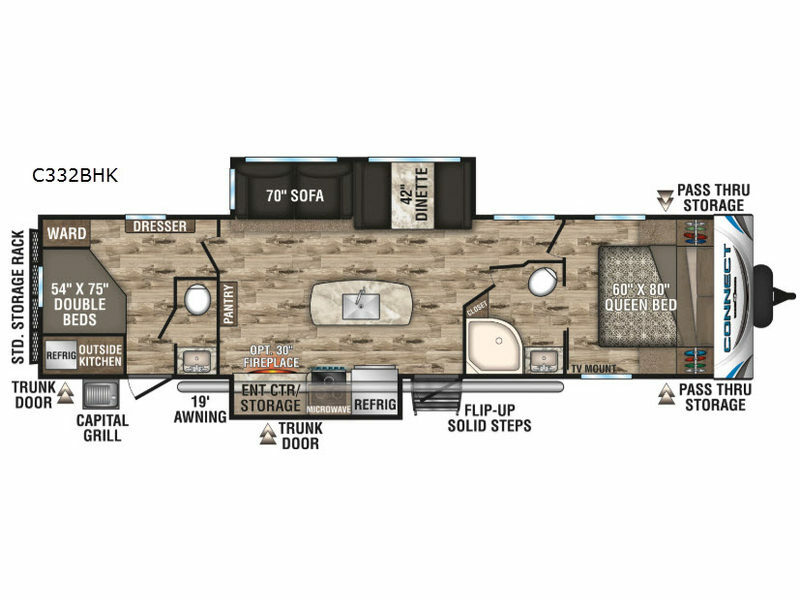 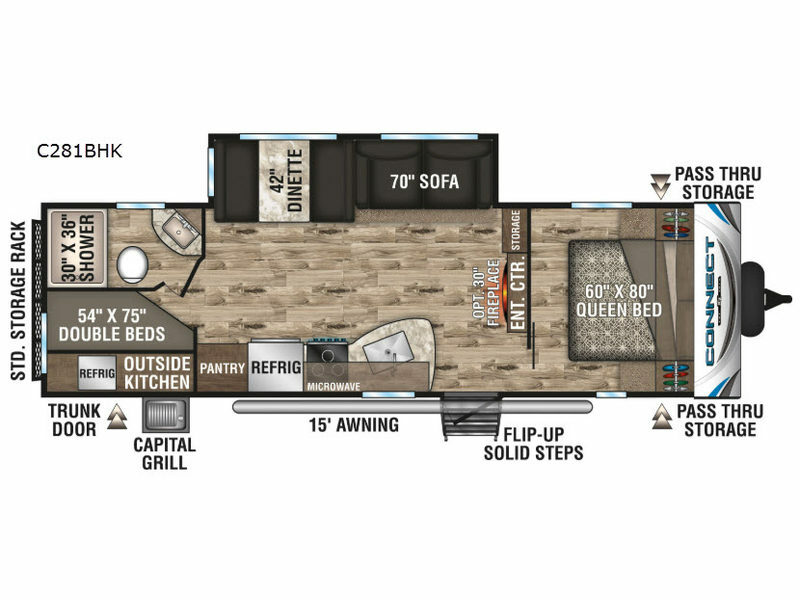 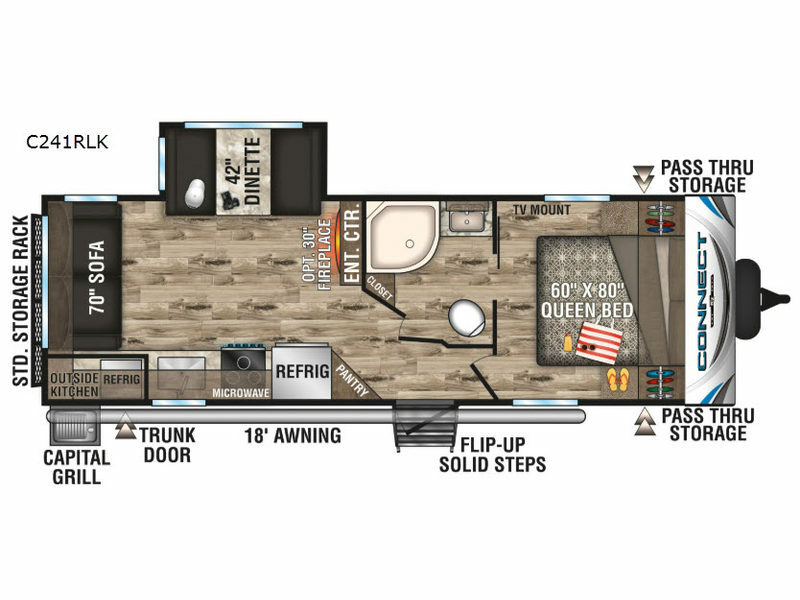 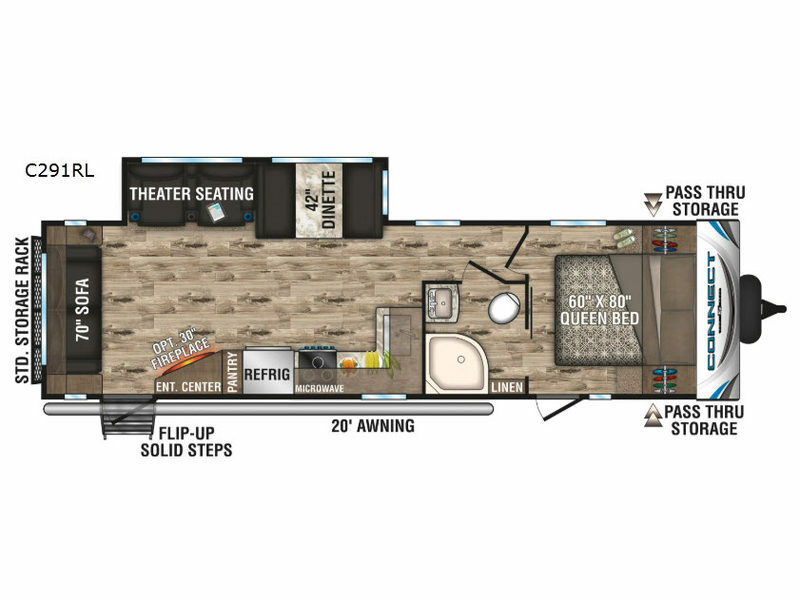 You can enjoy the journey, whenever you are ready in a Connect travel trailer by KZ RV!